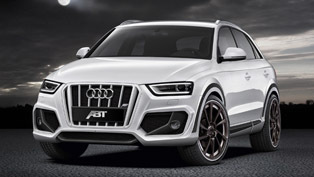 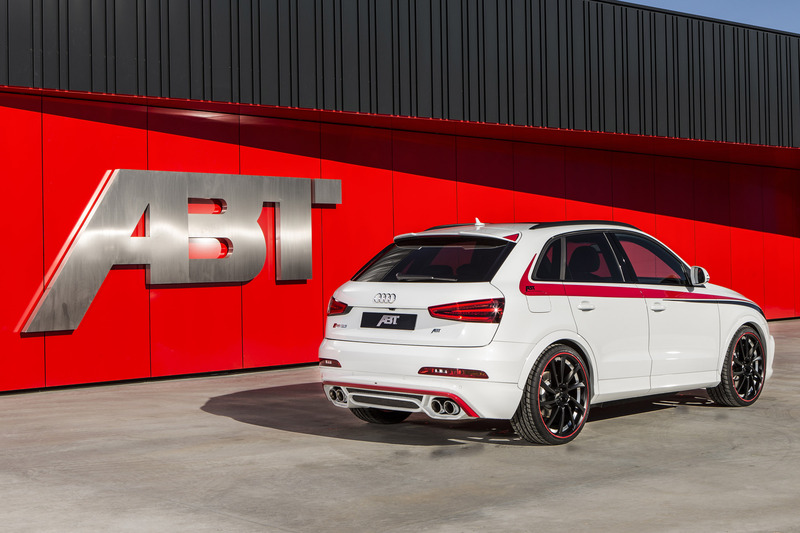 ABT Sportsline is going to bring several interesting tuned models at the 2014 Geneva Motor Show. 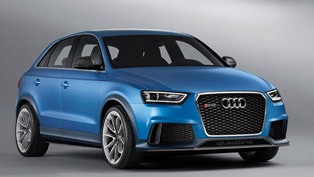 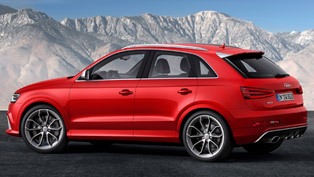 One of the is Audi RS Q3 coming with styling and performance modifications as well. 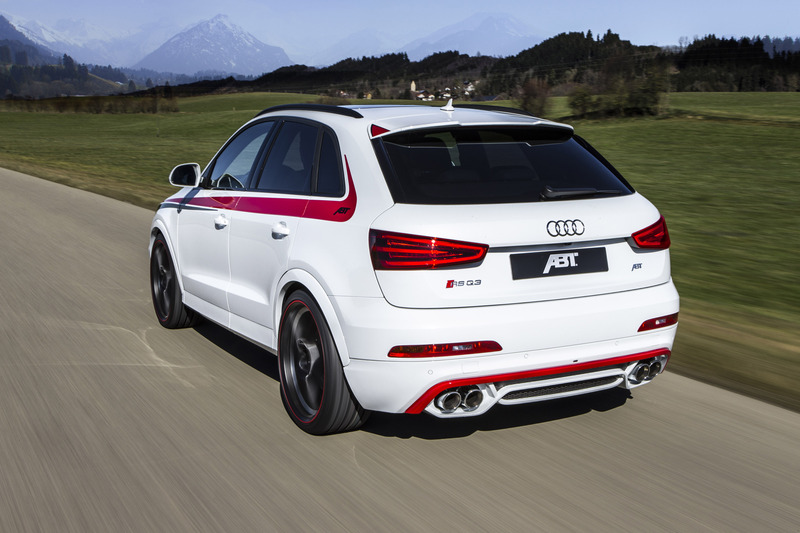 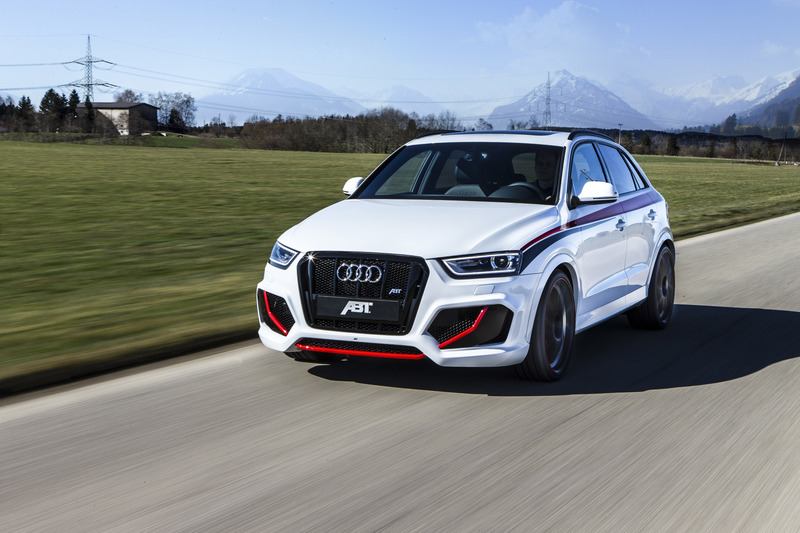 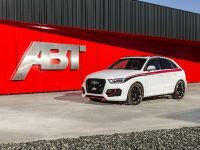 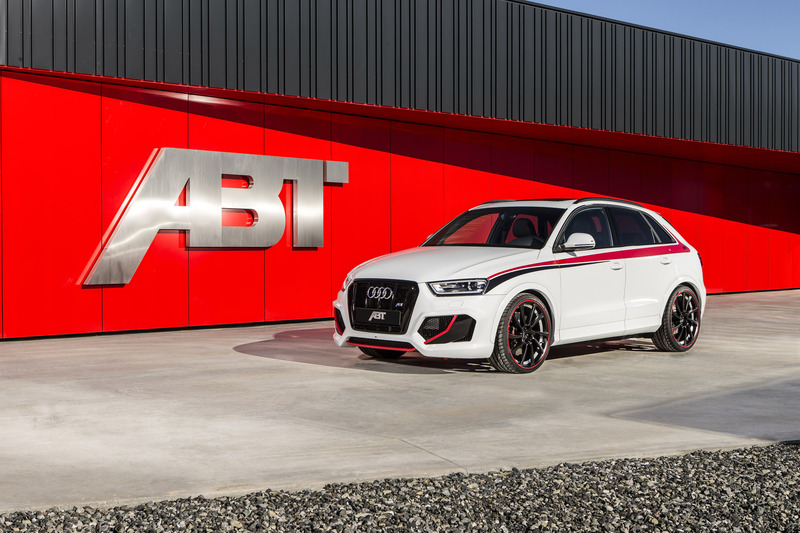 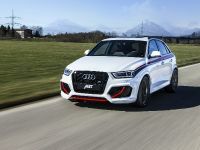 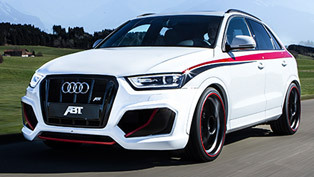 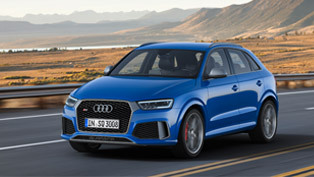 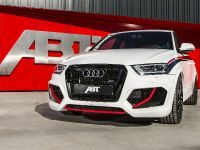 Outside, ABT RS Q3 comes with complete aerodynamics package including the new front skirt and grille, a new rear skirt and a stainless-steel exhaust system and four tail pipes. 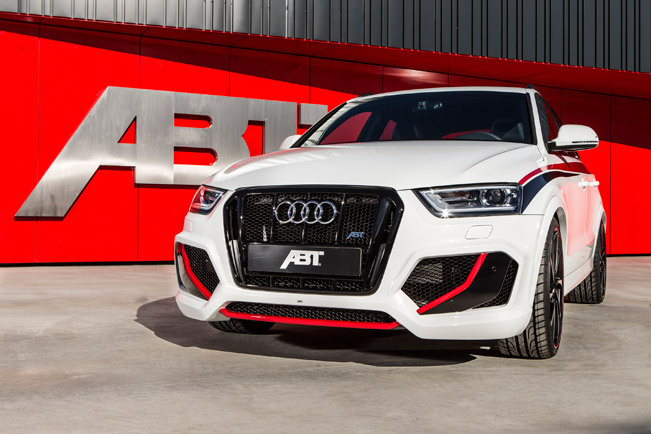 There are also new wheels in ABT DR design – 21" fitted with low-profile tires. 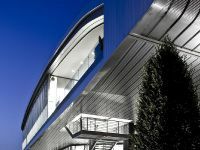 The exterior is finished in "innocent" white paint. 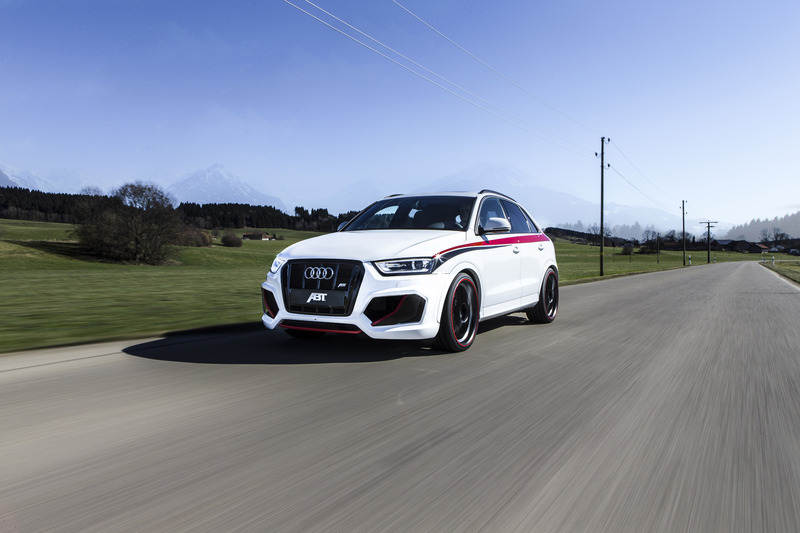 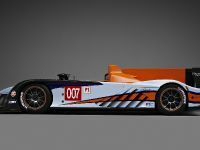 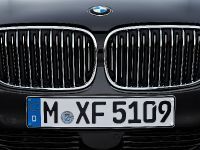 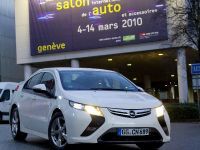 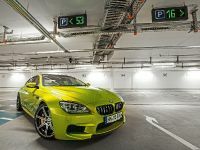 The 2.5 liter five-cylinder turbocharged engine is boosted to 410HP (301 kW) and 530Nm (393 lb-ft) – an increase of 100HP and 110Nm of torque. 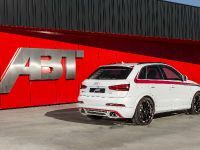 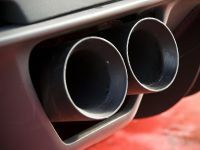 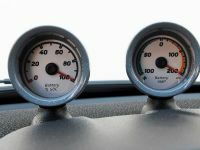 "This complex and gentle processes uses a specially developed control unit – ABT Engine Control – and a customised software," commented Hans-Jürgen Abt, CEO of the globally largest tuner of Volkswagen and Audi cars. 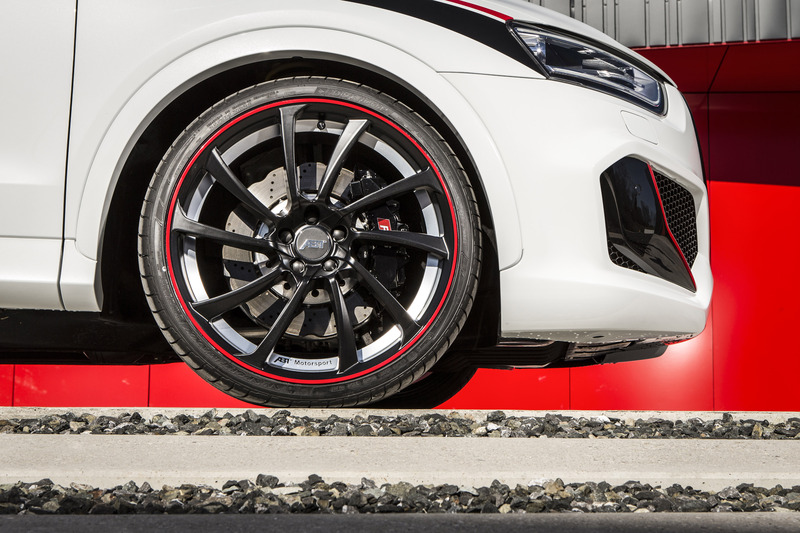 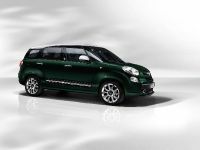 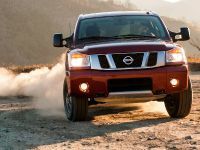 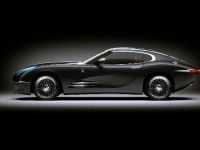 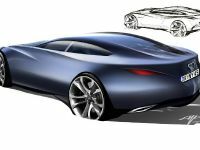 Last, but not least is the height-adjustable sport-type suspension that provides a maximum of road feedback and dynamism.